A winery that’s all about letting the individuality of the wine come out. 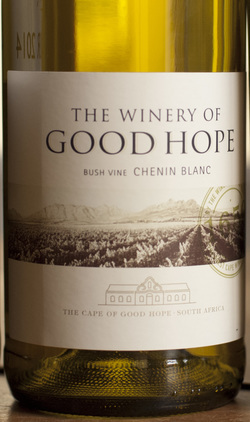 On their website, they write: “If our ‘house wines’ are anything short of excellent, then we are simply incompetent. With grape quality our absolute prime focus, we believe we can then use our experience and know-how to pass-on savings in the production costs to our consumers. For example, we generally don’t use barrels for these wines, we use less expensive packaging, we release the wines younger and minimise financing costs. And so on. This approach allows us to reduce costs of everything, except for the fruit. We believe therefore that we can offer higher quality, more individual, site- driven wines in a sector increasingly dominated by formulaic industrial winemaking and unexciting, often bland mass-wines.” Well, if that’s not the gauntlet being thrown down to mass-produced wines, I don’t know what is. Backing up that “gauntlet” is a richly textured Chenin with juicy lively fruit. If you don’t feel like an aromatic white, this is the wine for you. Think little sister of Chard.